Helen O’HAGAN, the wife of John. Helen passed away on 27/04/2014. Helen O’Hagan (nee Fletcher) joined the Police in 1965, her Regd. No. is believed to be PW76 and she left after marrying John. Her funeral is proposed to be held at 10am on Friday 2nd May at Greenway Chapel & Memorial Gardens, 460 Avoca Drive, GREEN POINT. May you and Helen forever Rest In Peace. We just heard the sad news of John’s passing and wish to send our condolences to Michelle and boys, and David. We spent many happy hours with John and Helen while the children were growing up, always an open home where there was always a welcome. A WOMAN claims a grapefruit-size sponge lay inside her abdomen for more than 15 years after a North Shore surgeon failed to remove it during an operation on her bowel. Helen Caroline Anne O’Hagan said the surgical pack was left inside her abdominal cavity by Dr Samuel Sakker during a partial colectomy he performed in August 1992. The NSW District Court has been told that over time the sponge ”became encapsulated in dense fibrous adhesions within a sac of fluid” and was only discovered in October 2007 when an X-ray detected the embedded radiopaque thread. The sponge was removed by another surgeon the same day but it was another three years before he told Mrs O’Hagan that it could only have been put there during the operation performed by Dr Sakker at the Poplars Private Hospital, in Epping. District Court Judge Leonard Levy has awarded Mrs O’Hagan the right to sue Dr Sakker for alleged negligence or breach of contract despite her claim falling outside the statute of limitations. He accepted that Mrs O’Hagan, who has been hospitalised 23 times since 1970, was so preoccupied by her various health issues when the surgical pack was eventually discovered that she didn’t seek an explanation as to how and when it got into her abdomen. Furthermore, the surgeon who removed the sponge spent a significant portion of the next three years outside NSW and did not tell Mrs O’Hagan that he suspected the 1992 operation until she saw him for a consultation in May last year. Her solicitor filed a statement of claim four months later. Dr Sakker, who retired in June 2007, had sought to have the case thrown out, arguing that it was improbable that she didn’t make the connection sooner. He said he had no recollection of treating Mrs O’Hagan and a search of his archives had failed to locate any medical records. However, he said he never departed from the practice of signing off the instrument count at the end of an operation after a count was made vocally by the scout nurse. Mrs O’Hagan’s husband, John, gave evidence that Dr Sakker advised him on the day of the surgery that the operation to remove about a half a metre of her bowel went well. Mrs O’Hagan continued to experience cramping, fevers and loss of bowel control but didn’t relate the problems to the procedure, assuming it was part of her long-standing underlying abdominal and pelvic issues. The case returns to the Sydney District Court this week. An expansion of the fiduciary duties of doctors towards patients could provide better protection to those suffering from medical mishaps. Such an expansion would require doctors to promptly disclose adverse events. 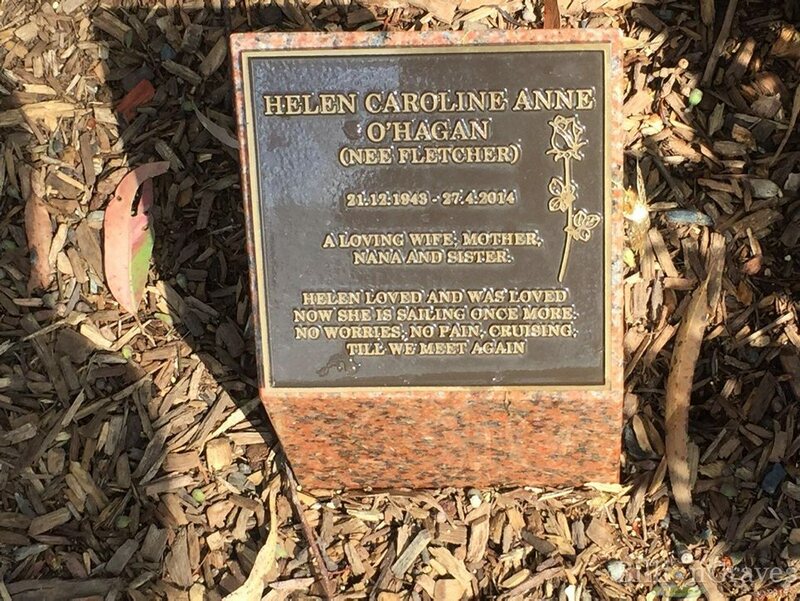 A New South Wales District Court is currently hearing a case about a surgical pack allegedly left inside Helen Caroline Anne O’Hagan’s abdomen for more than 15 years. It’s claimed surgeon Dr Samuel Sakker negligently failed to remove it during a partial colectomy he performed in August 1992 at the Poplars Private Hospital in Epping, Sydney. Mrs O’Hagan subsequently experienced cramping, fevers and loss of bowel control but assumed they were related to her chronic abdominal and pelvic problems. The pack, encapsulated with fibrous adhesions, was discovered after an X-ray in October 2007 revealed the sponge’s embedded radiopaque thread. Although distressing, such medical errors are not uncommon. Research increasingly shows they relate to system error. This makes the hunt for individual blame (perpetuated by the common law compensation system) often somewhat farcical. It also supports the case for a “no-fault” compensation system for medical negligence. What is most concerning about this case, however, is that although the surgical pack was removed in the immediate aftermath of its X-ray discovery by another surgeon, it was three years before he told Mrs O’Hagan that it could only have been put there during Dr Sakker’s operation. By that time, the statute of limitations on Mrs O’Hagan’s right to claim for medical negligence had expired. The patient (through her solicitor) had to make a special application to be granted permission to sue the first surgeon for negligence. This was granted by NSW District Court Judge Leonard Levy. Academics, judges and many in the legal profession have been suggesting that the statutory changes to medical negligence are grossly unfair – they seem designed to prevent patients seeking fair compensation. These changes took place over a decade ago, at the time of the so-called “medical indemnity crisis”. This was blamed on large patient pay-outs at the time but was probably more due to refinancing problems in the medical indemnity insurance industry. As a result, taxpayers – through a federal government subsidy – now support the private medical indemnity insurance companies of doctors. This means that such insurance companies make profits from a reduced need to pay money back to the injured, while the injured (through their taxes) have to fund the legal teams that oppose their claims for fair compensation. Many see the solution as involving the introduction of a “no-fault” compensation scheme for medical error. Under such a scheme, damages claims for medical negligence might not be as large as under common law, but they would be more prompt, affordable and accessible. A case like Mrs. O’Hagan’s compounds the injustice of the existing system. It creates the appearance that information may have been withheld from a patient until the statute of limitations had expired. The doctor who held that information back is not currently legally liable. Doctors have a legal fiduciary duty to protect patients in particularly vulnerable situations. This is a special class of common law obligation. It covers, for example, allegations of sexual or financial abuse of patients by doctors. When such a claim is made by a patient, the legal onus of proof is on the doctor to disprove it. The law operates this way to take the pressure off patients because the power in a doctor-patient relationship is particularly stacked against the latter in such situations. Academics such as myself have for some time argued that the fiduciary duties of doctors should be expanded to include a duty to promptly notify patients of adverse events. If such an event occurred during a hospital admission, for example, “promptly” could be reasonably interpreted as requiring disclosure before the patient is discharged. If such a fiduciary obligation had been in place in this case, the patient would most likely have been told immediately by the second doctor that the removed abdominal mass wrapped around a surgical sponge with a radio-opaque tracer could only have been placed in her stomach during an operation. Making this change could be something that a judge could do in the course of proceedings such as this. It would involve an incremental expansion of the common law doctrine of fiduciary responsibilities to cover amongst particularly vulnerable situations – not just sexual and financial abuse but also instances where the patient has been injured by medical staff.